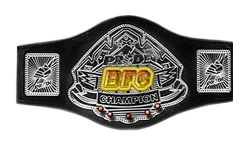 Welcome again to the BFC, its our 3 card and with the main event the semi-finals for the bfc lightweight championship!!! We have Crox vs OG in a camp battle to fight for that spot in the final. and we have fede and crazykid in the other hand!! lol, I did that last week too, my bad. I can't read! 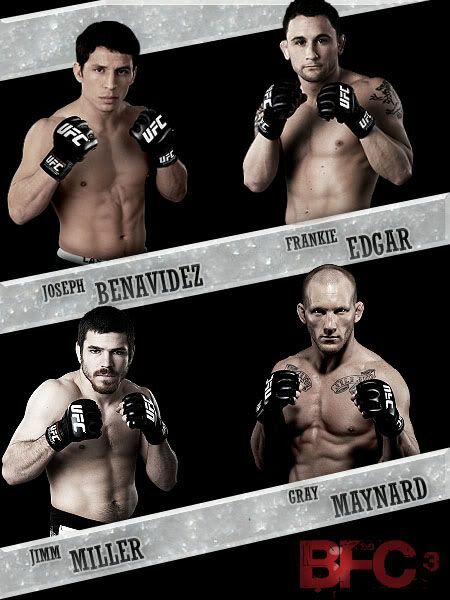 what hapn bros are you gona make his fights??? guillard wins mike brown by decision all three judges. fede Matt has not added me sense the day this fight card went up.Can I get a different opponent as I am far more active then this guy and i complete my matches days before the deadline. Alright he added me today and ask if he was in BFC fight and i told him yeah with me.Then he logged offline for the rest of the day.So i'm giving you an update that we have made contact and i cant fight tomorrow because is my aunts b-day and i'm not even gonna make it home.Evidently he has been inactive on the site sense he asked me that question. Edit: He logged off without even sending me a message if he can fight or not so I really dont know wats up. Awesome fight. 2 MORE ROUNdS!!!!!!! Alright he added me today and ask if he was in BFC fight and i told him yeah with me.Then he logged offline for the rest of the day.So i'm giving you an update that we have made contact and i cant fight tomorrow because is my aunts b-day and i'm not even gonna make it home.Evidently he has been inactive on the site sense he asked me that questiion. Subject: Re: BFC 3 : "Respect"